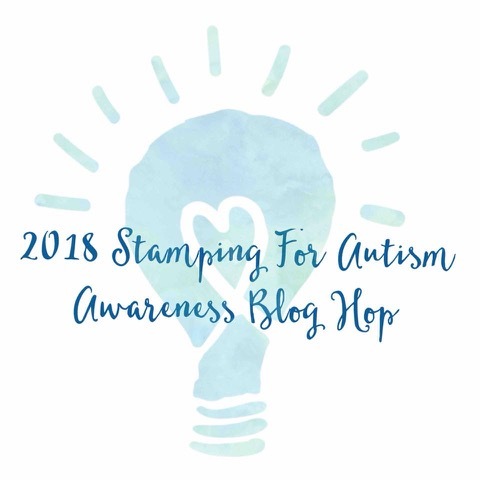 Hollybeary Creations : Autism Blog Hop with NND! I have Three posts today for the hop so be sure to scroll to see the other projects! I created an A2 size White card base and then I added a piece of rainbow paper from Doodlebug along the bottom of the card front. For the focal panel, I die cut a piece of Distress Ink Watercolor paper using the small stitched rectangle in the Frames and Flags Die set. I added some Salty Ocean Distress Oxide ink to create a background. 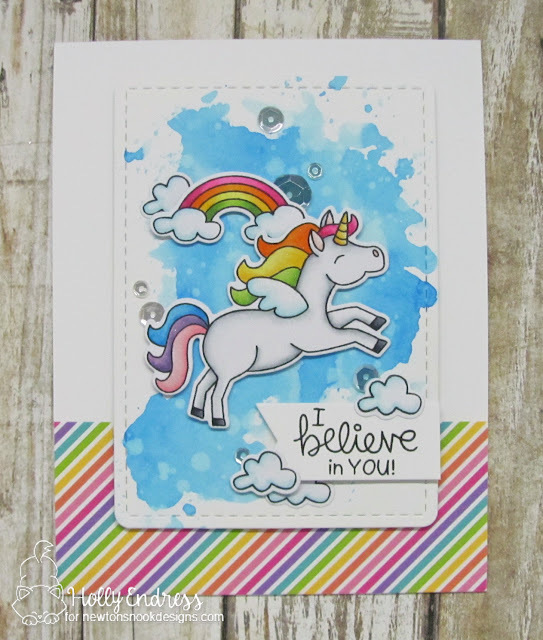 I stamped the unicorn and cloud images from the Believe in Unicorns stamp set onto some X-press it Blending cardstock and colored them in with Copic markers. I used the coordinating dies to cut the images out. I adhered them to the panel with some foam tape. For some extra sparkle, I added some Clear Spectrum Noir Sparkle Pen and some Mixed Sparkling clear sequins from Pretty Pink Posh. Here's how to win: To win this bonus prize, comment on the NND blog and Design Team blogs (see list below)! The winner will be chosen at random from the posts linked below. Make sure to check out each of their blogs and comment for your chance to win. You will not know which blog has been chosen so the more you comment on the better your chances are of winning! You have until Sunday, April 8th at 11:55 pm EST to comment -- winners will be announced on the blog post on Tuesday, April 10th. Colorful, magical and encouraging!! Perfect card for a noble cause! Thanks to everyone who are part of the blog hop, and to the sponsors! I love this encouragement card! Such a cute card - Looks like the unicorn is jumping for joy! Thanks for sharing your card and giving us a chance to win! I love the background and beautiful colorful Unicorn! Brings a Smile to my face. Thanks for bring awareness to autism! Delightful card with all the bright colors! OH, my goodness! This is too cute! I absolutely love the sparkle! What a worthy cause. I love your unicorn card. Thank you for sharing!! What a cute card and a great cause! What a sweet and colorful card! I adore unicorns!! Also, thank you for being a part of such a wonderful Blog Hop!! I truly appreciate all the support for the crafting community! My granddaughter loves unicorns and she is also the number one fan of her brother who is on the spectrum. This is exactly the card she would make for her brother. Thank you. Love your card, just beautiful. We need more messages as this one to place all over the world. I work at an elementry school and we have many wonderful kids. What a cute card. Reminds me of when my daughter was little. She loved unicorns growing up. This is adorable! She is absolutely cute flying through the lovely background! Thanks for spreading the word. This is what fantasy is made of, unicorns and rainbows. A very good cause. What a cute and colorful card. 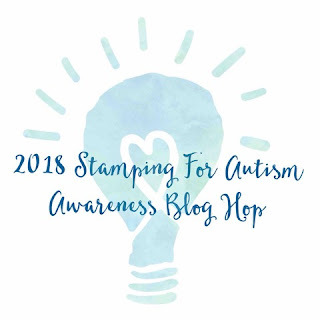 Really excited to see all the great people participating in this blog hop. Love the rainbow mane and tale with the other rainbows... so fun! Thank you for participating. The unicorn is so bright and colorful. What a great cheery card! Love how you did the background. A magical card for a fantastic blog hop ! This is just such a colorful & joyous card! Thank you so much for the inspiration. Love the rainbow to match the "spectrum" colors. Adorable! Love the bright cheerful colors! Thanks for the inspiration! Fantastic card! It just screams happiness and joy - love it! Your unicorn card is super sweet! Happy to see such wonderful card made for a wonderful cause to bring awareness to such great group of individuals with autism. I have a daughter with autism who is 25 years old as people so misunderstand this disorder as parents we get judged as if it is something we did or have not done right raising our child. Sadly many more tears come as people expect your adult looking child should be doing typical adult things. Thanks for inspiration. Crafting is my outlet to escape the challenges. Cute and encouraging card to support such a wonderful cause. Thanks for participating. Thank you for participating in this event! My grandson is autistic and not enough people understand the struggles they see. Love your! What a cute card for an awesome cause! I was going to use the unicorn for my card today too! (but changed my mind, obviously.) Unicorns seem perfect to represent people on the spectrum (or simply with special needs), they're still horses, just a bit different ;-) LOVE your gorgeous card! I loved this blog hop. I so appreciate cardmakers! So much rainbowy goodness on your site today! Love the addition of the patterned paper to match your image! 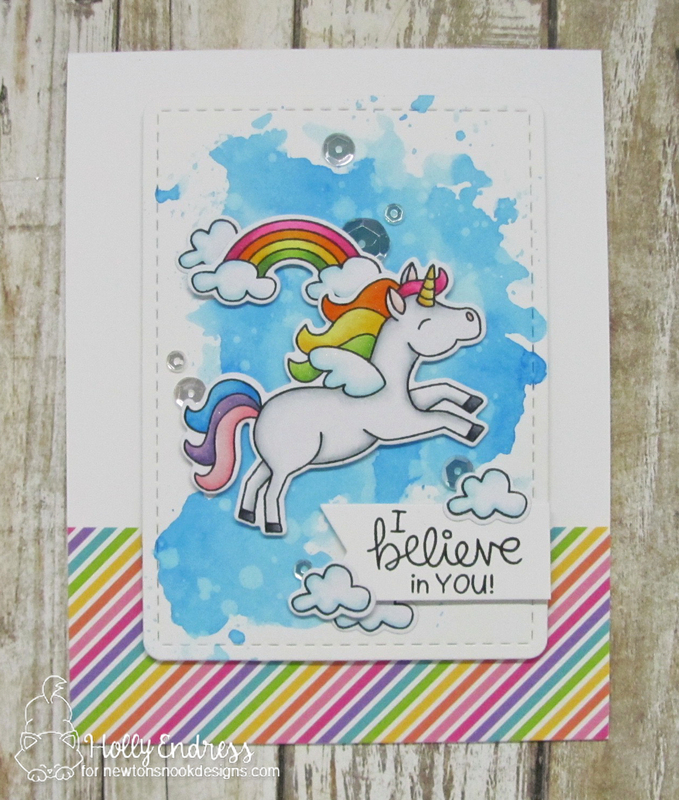 Oh Wow, That is just gorgeous - unicorns and rainbows on one card ... couldn't be more perfect! Oh Holly, this is just adorable. Well done. I absolutely love your card it is super cute!!! Thank you for supporting Autism awareness. My daughter is on the spectrum and I appreciate all you are doing. I love how you did the background on the card, beautiful! I LOVE this unicorn! Super cute design! I love that unicorn, and the blue background really makes it stand out! What a beautiful card, Holly! I love your rainbow colors and encouraging message. I love your unicorn, and the way you made the sky. Very cute. This rainbow card is stunning. I am thrilled to death the crafty community is so helpful with this blog in raising awareness. So proud of my crafting community right now. So cute with the rainbow colored unicorn. I really enjoy your very colorful card. Lovely design and sentiment for this very special cause. Such a lovely card - love the unicorn and the happy colors. This is such a happy card and love how it turned out!!! Such adorable card!!! Love your colouring!!! This is just the cutest! Thanks so much for participating in the autism hop! This is adorable, so colourful and inspirational at the same time. Such a beautiful card! I love the rainbow colors! Thank you so much for hopping along for Autism Awareness with us! I love it - rainbows and unicorns! Such a pretty and encouraging card! Anything with unicorns has to be amazing and your card definately is. I love the painted background and the fact that your paper and coloring all match. I love this unicorn card!! 😍 you used so many pretty colors!! 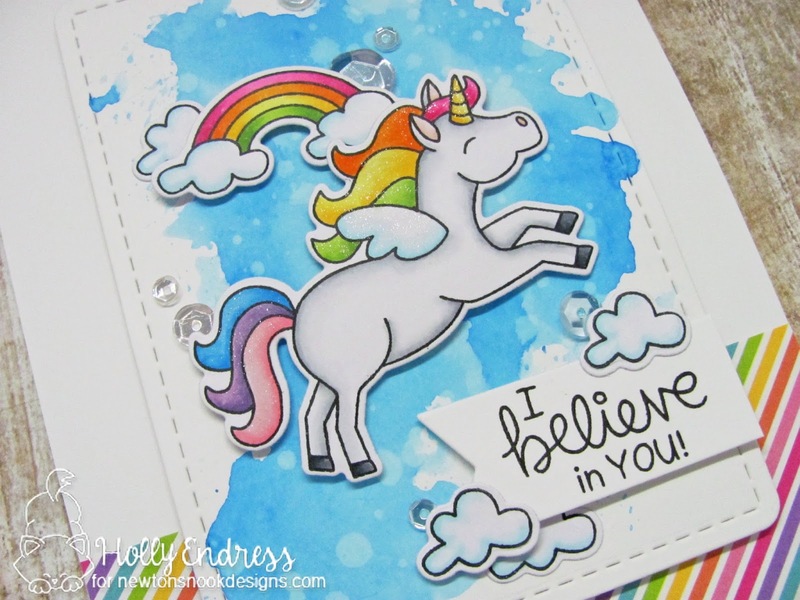 Love this sweet unicorn card! Beautiful rainbow colors! Love the rainbow colors. So imaginative! Thanks for supporting Autism awareness! Such a fun card! Love the background, colored puzzle pieces and varied sentiments. Perfect! Thanks for supporting Autism awareness! Thanks for your participation and support to raise awareness of autism! I love the background here and the way you made the unicorn pop. Stellar card! Your unicorn card is just so happy and fun!!! Thanks so much for supporting this important cause! You’ve made such a sweet unicorn !